Doctor of Philosophy (Ph.D.), Applied Science in Information Quality, May 2010. J Pediatr. 2016 Nov;178:47-54.e1. doi: 10.1016/j.jpeds.2016.06.063. Epub 2016 Jul 22. Gibson, Neal and Greg Holland. "A Dual-Database Trusted Broker System for Resolving, Protecting, and Utilizing Multi-Sourced Data"
Holland, Greg and John Talburt, "q-Gram Tetrahedral Ratio (qTR) for Approximate String Matching"
Holland, Greg and John Talburt, "A Framework For Evaluating Information Source Interactions"
Holland, Greg, "Methods for Building Data Elements for Multi-sourced Data Products"
Talburt, John and Greg Holland, "Shared System for Assessing Consumer Occupancy and Demographic Accuracy,"
Master of Science (M.S. 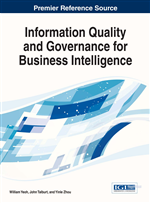 ), Information Quality, received December 2007.
developed in 2006 by UALR and Massachusetts Institute of Technology (MIT). Capstone Project: "Impact on Quality of Major Source Replacement in Consumer Data Product"
Bachelor of Science (B.S. ), Computer Science, minor in Mathematics, received May 1998. Valedictorian of Bryant High School in Bryant, Arkansas. and completed Algebra (college instruction) prior to the 8th grade.